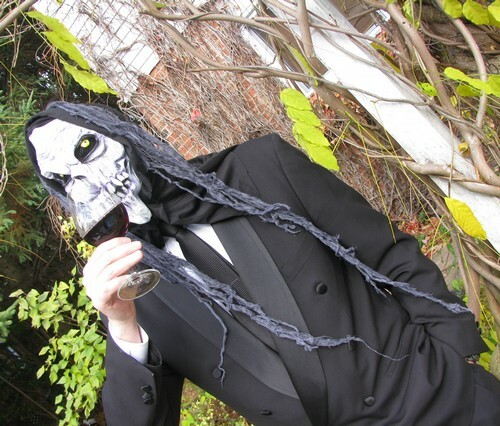 I love red wine too but this ghoul needs a straw, me thinks. Hey, I like a ghoul with class. But … isn’t that good wine going to just seep through his old bones and ruin his suit? :) Another great photo with “a hint of hmm,” Carin. Oh my, very spooky in a debonair kind of way. As if James Bond has met his maker. BOO! Great shot! Happy WW and Happy Halloween! What a fun shot, love it!